Traffic Impacts: Main Street will be open to traffic with reduced lane width. Description: The bridge over South Fish Creek will be rehabilitated. Traffic Impacts: A section of County F will be closed for the duration of the project. The detour route posted for this closure will utilize County Highway F, US 63 and Olson Lane. Description: The Elk Creek Bridge will be removed and replaced with a new structure. Traffic Impacts: Traffic on WIS 121 will be reduced to one lane while work on the bridge is occurring. Signals are in place at the project site to control the flow of traffic. Description: This project consists of retaining wall, grading, concrete sidewalk, concrete curb and gutter, base course, storm sewer, pipe railing, bridge construction, and incidental work. Traffic Impacts: 195th Street will be closed throughout the duration of the project. No detour will be signed. Description: Belknap Street has been reconstructed from Banks to Hill Avenue over the last two seasons. Work scheduled for 2019 involves fence railing, pavement marking, and general clean-up. Traffic impacts: Motorists can expect occasional lane closures during working hours. 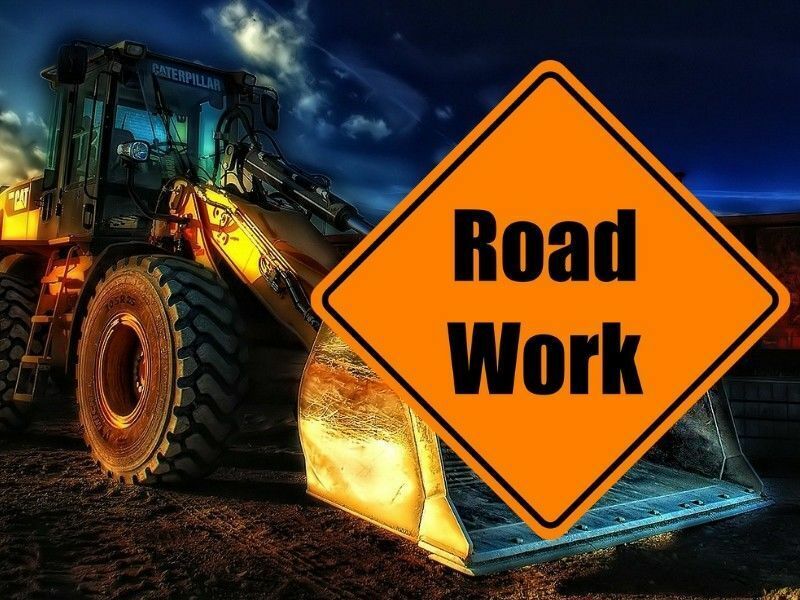 Description: A variety of work will be performed on the roadway, including milling, paving, temporary bridge construction, and utility relocation. Traffic impacts: Currently, eastbound and westbound lane closures are in effect on I-94 from WIS 128 to 160th Street. Description: Work under this contract consists of grading, base aggregate, concrete pavement, hot mix asphalt pavement, new structures, pavement marking, signing, right of way fence, median cable barrier, beam guard, traffic control, and incidentals. Traffic impacts: Currently, eastbound and westbound single lane closures are set during off peak traffic hours. Expect closures in each direction Monday from 6 AM to Thursday at 2 PM, from Thursday at 5 PM to Friday at 9 AM, and from Friday at 8 PM to Sunday at 9 AM. These closures may not occur when severe weather warnings are in effect. Expect delays caused by intermittent flagging operations on surrounding side roads, including 390th, 650th, 250th Street, and County Highway K.
Description: This project will consist of 26 miles of cold-in-place recycling, milling and hot asphalt mix overlay along WIS 54. Traffic Impacts: Motorists can expect minor delays caused by temporary flagging operations. WIS 54 will be open to traffic throughout the project. Traffic Impacts: Motorists can expect to encounter occasional westbound single-lane closures during working hours. Description: In the first phase of the project, crews will convert the 4-lane roadway between the Namekagon River Bridge and US 63 to a 5-lane roadway with a two-way left turn lane. Additionally, the existing 4-lane roadway from West Carol Drive to Michigan Avenue will be converted to a 3-lane roadway with a two-way left turn lane. Auxiliary work such as pavement resurfacing, and traffic signal installation will be performed as needed. Traffic Impacts: One lane of traffic will be open in each direction throughout the duration of the project. Motorists should expect to encounter travel delay due to lane closures and flagging operations. No traffic impacts will occur on holidays such as Fourth of July and Labor Day. Description: The project involves removing existing concrete roadway surface, crushing that concrete, and reusing it as base. The new surface will be asphalt. The Hospital Road intersection will be reconstructed on a new alignment. 12 mainline culvert pipes will be replaced. New signs, pavement marking, and beam guard will be installed. Traffic Impacts: US 63 will be closed beginning on April 8, with two detours in place. Heavy truck traffic will be routed from Hayward north on WIS 27 to US 2 and then east to the US 63 intersection (near Ashland/Ino). The car detour will be from Hayward east on WIS 77 to County Highway OO, continuing north on County Highway OO to the US 63 intersection (near Seeley). Local traffic will maintain access. Description: Proposed improvements include replacing four structures (two over 130TH street and two over Kinnickinnic River), concrete placement, and sign and sign structures. Traffic Impacts: During construction, I-94 will remain open to traffic. Motorists can expect to encounter lane shifts and single lane closures on I-94. Motorists can expect 130th Street to be open to traffic with periodic short-term full closures and/or flagging operations. Closures will also occur on the westbound and eastbound shoulders of I-94. Description: This rehabilitation project will be updating a segment of I-94 by upgrading and replacing deteriorating sections of roadway and shoulders, two bridge decks over Front Street, concrete barrier walls, signs and sign structures, widening a bridge deck over Northern WIS 35, and adding two noise walls and three retaining walls. Traffic impacts: The southbound on-ramp leading from WIS 35 to eastbound I-94 is closed. Motorists can expect nightly lane closures along eastbound I-94 and northbound WIS 35. Description: This is a comprehensive road improvement project. Work performed on the project will include excavation and placement of base, concrete paving, hot-mix asphalt paving, standard paving, beam guard installation, pavement marking, signing, fencing, mechanically stabilized earth wall installation, and bridge replacements. Traffic Impacts: Beginning on April 15, an eastbound lane closure will be maintained for asphalt closure construction. This closure will remain in effect until April 19.